Contact phone number in United Kingdom is: +44 203 150 0308, and customer support email address is: salesuk@eToro.com. For complaints or withdrawal problems with brokers, read this. Trade Markets is where you can trade by yourself, using their unique trading software. Copy People is where you can browse for investors to follow. There are many filters available to find the right trader to follow and copy. 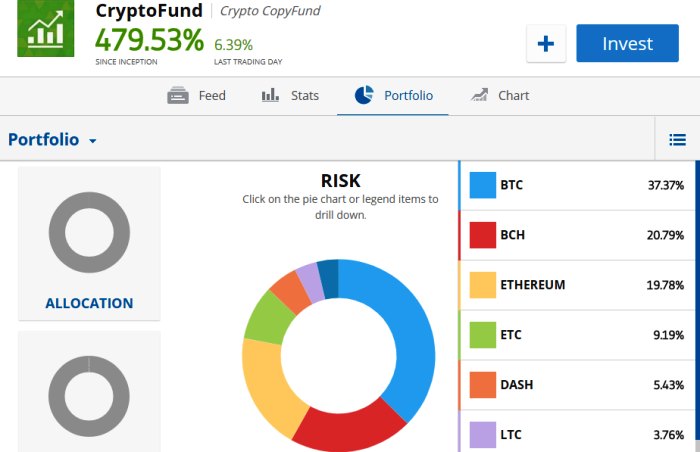 CopyFunds is a new feature where they have put together groups of investors in which you can “invest” and follow them like a mutual fund or ETF. You have literally hundreds of underlying assets available for CFD trading, including Major and Minor Currencies, Crypto Currency, Stock Market Indices, and Popular Commodities. Global Stocks (America, Europe, Spain France and Italy) and ETFs are also available. The minimum deposit for a new trading account is $200. American investors are currently only able to invest on 10 Crypto Currency coins. Eventually they will add more products for Americans to trade. When the Scam Broker Investigator reviews Forex and CFD brokers to determine if they are a scam or legitimate company, we check to see if they are licensed regulated. eToroUK is regulated by the Financial Conduct Authority (FCA) in United Kingdom and their reference number is 583263.
eToro Europe is licensed and regulated in Cyprus by CySEC with license number 109/10. ETORO USA LLC is a member of the National Futures Association, ID# 0382918. There are many benefits in only trading with a regulated broker, including financial insurance schemes, and protection from the government regulators. There are so many CFD Trading Forex brokers to compare online, and many investors get lost with so many choices. You can see some popular Forex brokers here. EasyMarkets is a popular CFD broker, that is licensed in Australia and Europe, see here. Their CFD trading platform is web based and easy to use. Get a Free Demo Account, register here. 24Option are South African and European licensed Forex brokers, with a very simple and easy trading platform. First try their Free Demo Accounts, signup here. Are you currently an investor with eToro? Please share your experience with this broker in the comments below.